On March 27, 1995, our friend José Parraga went out having fought bravely against the disease during more than two years. 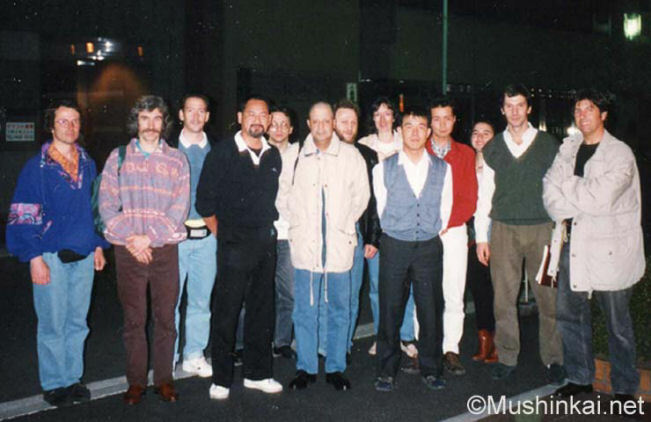 One year before, in April 1994, we travelled together in Japan with a group of twelve karatekas. He was already sick but had been anxious to make the journey. For him, it was a big satisfaction: he came back very tired, he told me, but also more motivated than ever to fight the disease, without complaining and determinedly opened to the future. I knew well José Parraga. He was one of the rare students from whom Master Murakami told us his adventures, showing there his respect for this simple, faithful, direct boy, endowed with a renowned franc parlé and matchless humor. Even today, I often have the impression that he is next to me and I hear his voice asking me how many Yens we need to put in the automatic gate of the subway of Tokyo. In my turn, I learnt to know him better during this journey in Japan. I felt his strong motivation and his regret that the disease prevented him from going further on a path that he saw still long and full of discoveries. That he was deprived to us so early is a very hard blow. He knew in this occasion, as the oldest of the group of karatekas, to express what he had learnt of the education of Master Murakami. Our Japanese friends also were impressed by his will, his courage and were enchanted by his jokes. He had seized in its deepest meaning the significance of the "Do" in "Karate-Do", and by his simple attitude he honored our group of karatekas. With emotion, I can imagine again a tired José, with a small bag and a bottle, moving slowly, imperturbably, like a ronin, to visit Japanese Dojos. 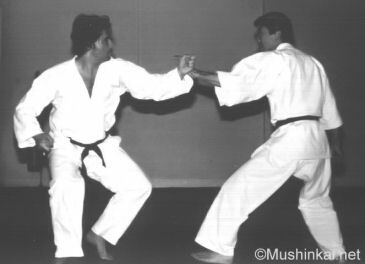 He had always worked on the development of Karate, he knew the direction to follow and followed this road with conviction by making known to his colleagues the right direction. He was always thinking but never doubted of the Way and moved on the Way step by step. During the meetings between karatekas, he always had two or three sentences full of common sense to put back things in order when we began to move out of the Way. This way, he proved his understanding of "I SHIN DEN SHIN ", the education from heart to heart, the education of our dear Master. 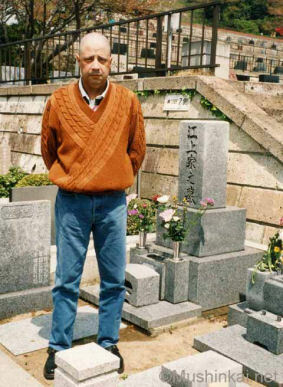 For that reason also I know that Master Murakami had a particular affection for José Parraga. Today, he joined Master Murakami but his spirit remains present among us. I feel his spirit close to us, ready to help us to follow the good way and to gently knock us down if he feels that we are following a wrong road. His spirit is too firm to abandon us to ourselves. José disappeared, I think of him and, every day, I feel him bigger. Today, with all our friends karatekas, my thoughts go towards his wife Thérèse and their children Cathy, Freddy and Nathalie.